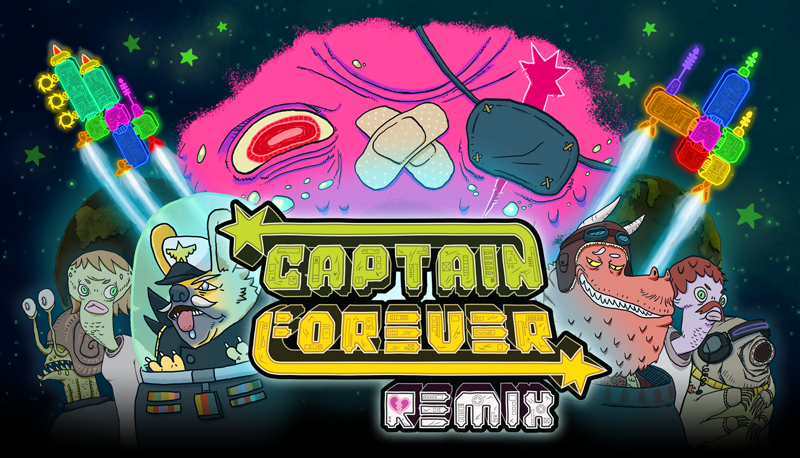 Captain Forever Remix was a Steam “reimagining” of a cult-hit browser game (Captain Forever), built in Unity by a 2-person indie team. My former Harmonix design colleague, Dean Tate, handled the art, while I handled the code. Another Harmonix alum, Emeen Zarookian, supplied the sound. With such a tiny team, our myriad responsibilities naturally fell beyond our primary roles. We jointly planned the game design and marketing. Dean drove the narrative, maintained the social media presence, and made promotional trailers and assets, while I acted as the producer, managed our finances, and built the website. We debuted the game to Steam’s Early Access program in March 2015. Features were added and refined with community feedback, culminating in the full release in June 2016. 94% of the user reviews are positive, and the game was a hit with notable streamers like TotalBiscuit, NorthernLion, and Yogscast.